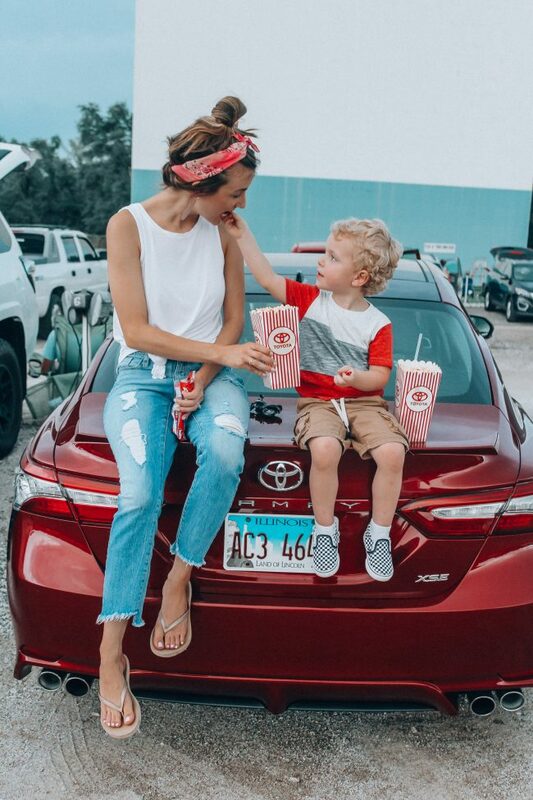 A Drive-In Movie with Toyota: Henry’s first trip to the movies! 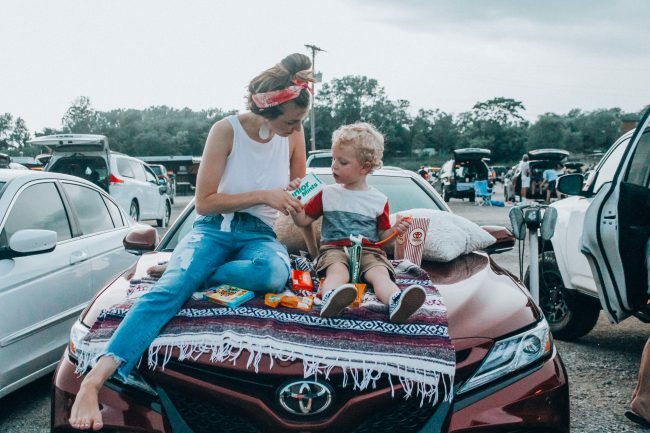 Thank you so much to Toyota for sponsoring this post! 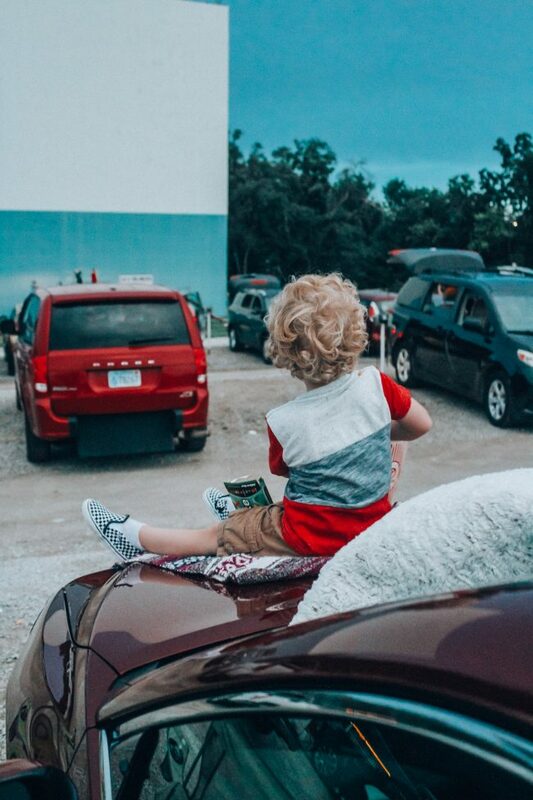 I have been looking forward to taking Henry to his very first movie for a LONG time, but he doesn’t sit still for long, so I was always worried that we’d have to leave the theater after about 15 minutes. 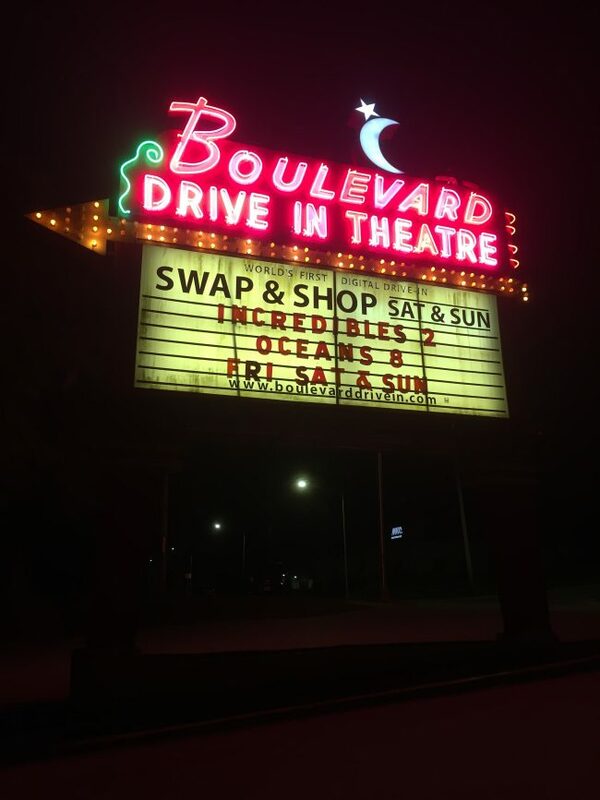 Enter: the drive-in. 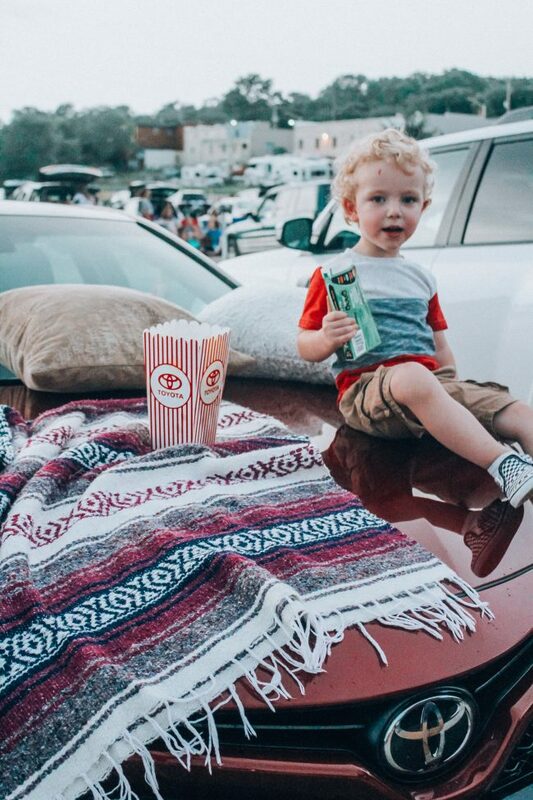 I don’t know how I hadn’t thought of it before, but an outdoor movie is genius for a 2.5 year old, right? 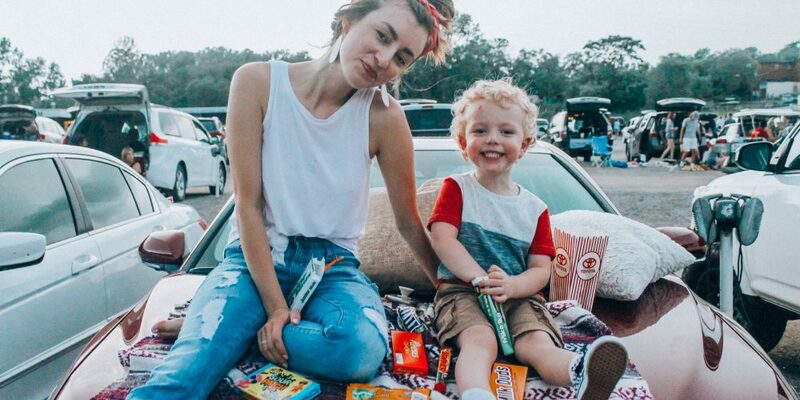 They can run around, eat a bunch of snacks without fear of spilling, “misbehave” a little by sitting ON the car…and plus there’s a fun movie to watch. It’s essentially a kid’s dream. 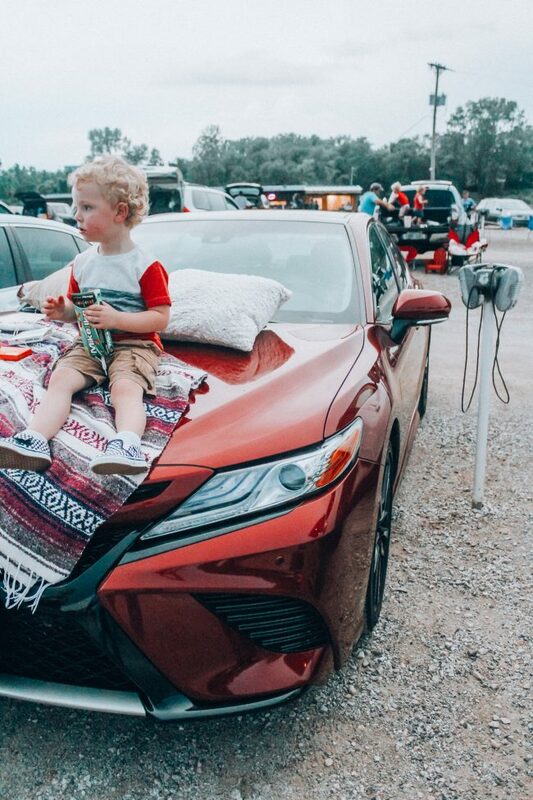 So when Toyota asked if we wanted to take their brand new 2018 Camry XSE to see Incredibles II, I jumped at the opportunity. Brandon and Ruby were out of town, so Henry and I took our sweet new ride on a “date” and he LOVED it. He really thrives on one-on-one time, and we had almost the whole weekend together just the two of us, so he was super happy. 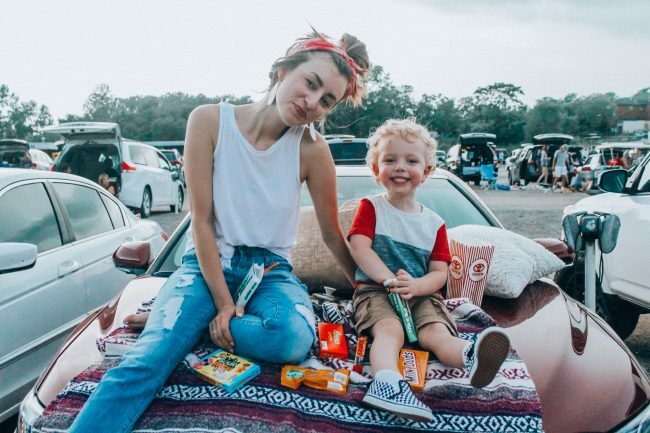 I’m a big advocate of taking your kids on dates – the special one-on-one time is important and it’s so cool to see your individual children’s personality shine without the chaos of having to compete with a sibling for attention. 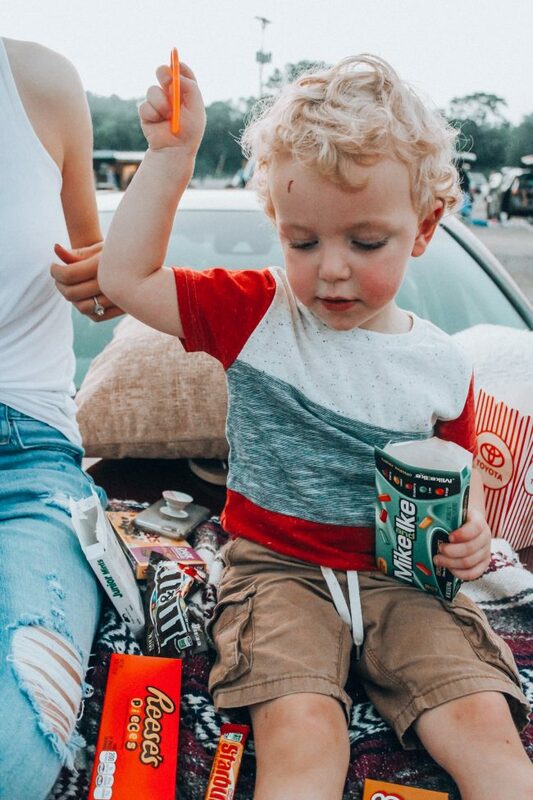 Henry had entirely too much candy AND he even had his own Sprite (which he calls “spicy!”). We went a little overboard on the snacks, but what can I say?! 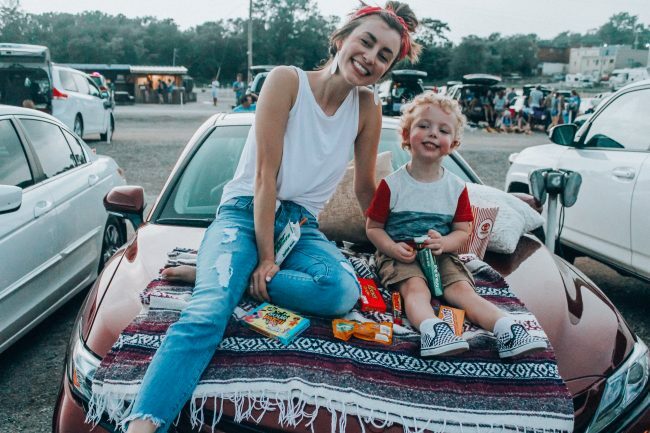 We were celebrating Henry’s first movie and you can’t watch a movie without snacks. 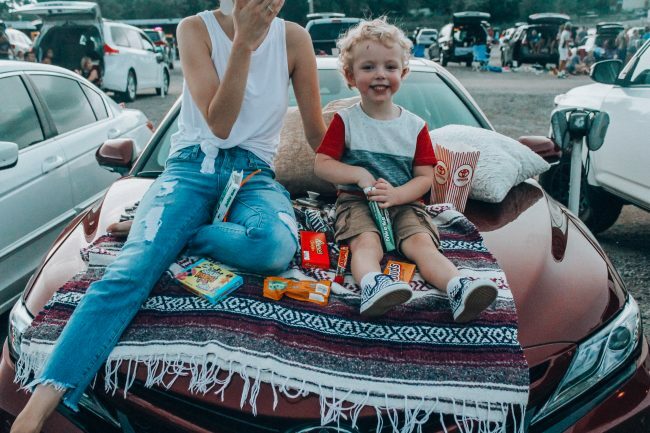 We brought a blanket and some pillows and sat on the hood of the car during the movie…and before we left we even watched fireworks from the car’s incredible HUGE sunroof. Note to self: get a sun roof in the next car I buy! When it was time to leave, I thought Henry would be upset. It was past his bedtime, and I was sure he wouldn’t want to leave when he was having so much fun. 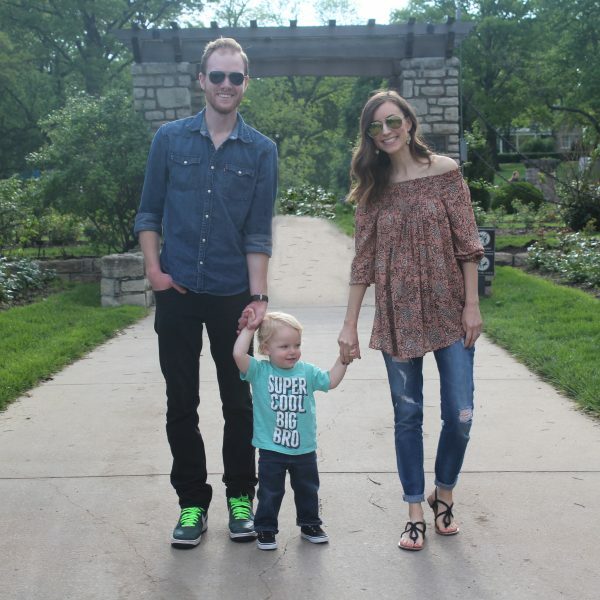 But he was actually excited to go for a ride in the “new car.” He’s obsessed…and so am I. This new Camry is fast, you guys. 0-60 in 5.8 seconds. And when you combine that with it’s sleek leather interior, 19 inch black wheels, and smoked LED lights…it makes for a pretty fun and sporty car. It’s family-friendly too, which actually shocked me. 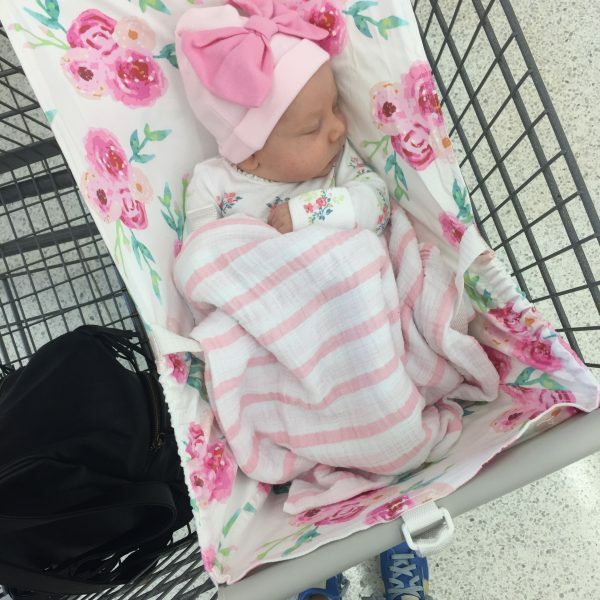 I was nervous about fitting two car seats into a such a cool looking car, but they fit surprisingly well (and the trunk is large too, for extra baby gear!). Henry is STILL talking about the movie – I think it’s safe to say that he loved it! If you have other fun Summer activities for young kids, leave a comment and let me know what they are. 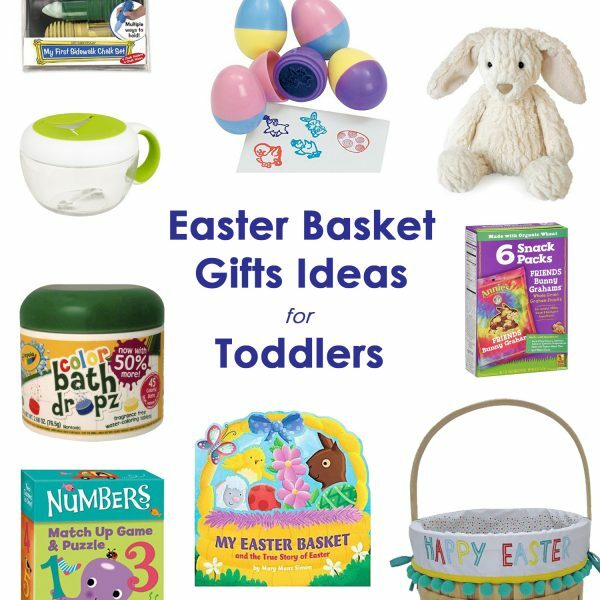 I’m always looking for fun things to do with my little ones! 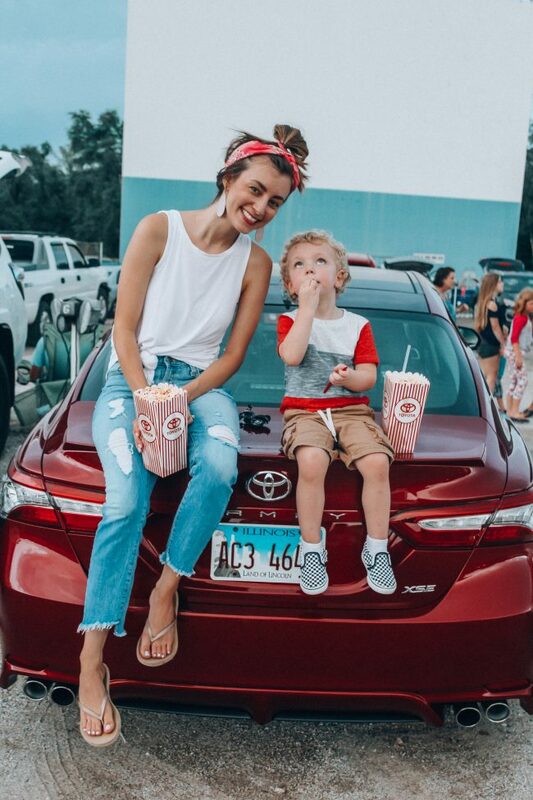 I hope you enjoyed this A drive-in movie with Toyota blog post!